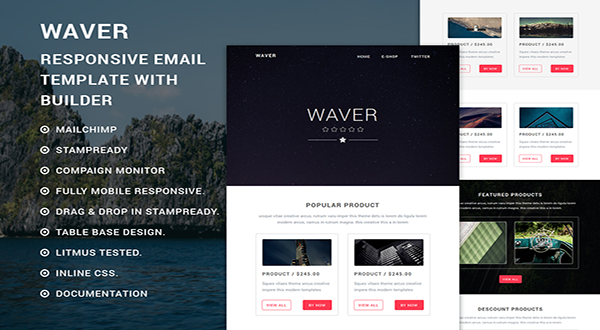 Baleen - Responsive Email template with Stampready builder. Fully Responsive and Major email client Supported.You can easily make changes through MailChimp, campaign monitor or Drag & Drop in StampReady. Without any coding knowledge. Very Good Performance For Business, Portfolio ,Multipurpose and Any Purpose. - Drag & Drop in StampReady. - Campaign monitor compatible file. - Outlook does't support the background images. - Images not included in download file, but download link attached in help file.